What is vehicle ECU remapping? Having your car ECU system remapped can improve the overall performance of your car or van, getting more power out of it. ECU is the Engine Control Unit within your car; the brain of your engine runs via this system. When you apply the accelerator, you will find the ECU system decides how much fuel your car needs to speed up. You can have your vehicle ECU remapped in several different ways; the most common is to have a specialist perform diagnostics by looking at specific software, the specialist will then create a new map to implement. So if your thinking about having your car or van remapped, here we discuss what vehicle ECU remapping is and how it could benefit you. How can vehicle ECU remapping help your car? Before we go into how it can increase performance and benefit your car, a fundamental question asked by many people is why manufacturers do not do this in the first place. The answer is, it’s not as cost-effective and manufacturers key responsibility is to maintain and prevent the car from breaking easily and quickly. They will need to make the vehicle as reliable as possible, ensuring they have long-lasting drive life. So it’s not recommended to anyone that will not take care of his or her car. If you are considering ECU remapping and car tuning services, we suggest you talk to a specialist to see how this can work for your vehicle. If you are willing to do multiple home care services throughout the year, this could be beneficial to you and mean that your car is still as reliable as the manufacturer ECU setting. Whilst ECU remapping helps boost extra performance out of your engine; this isn’t the only benefit. If you drive as you normally would once remapping your vehicle, you will find that you tend to get more miles per gallon, this will help with recouping the money you spent on getting your car remapped. The other thing is that if your vehicle is taking on heavy loads, then remapping can improve the drivability. You will mostly feel the benefit when driving on an incline, rather than dragging along you will find there is a little more speed behind the vehicle. It will depend on what type of engine your vehicle has to what performance it will receive once having an ECU remap. Smaller engines will see an increase in drivability and will see small performance boosts. However, we recommend that for smaller engines you strongly think about whether it’s a good idea to invest in an ECU remap. You might find that the return you receive is not a big one and it is costly to have an ECU remap. Vehicles that have more substantial or turbocharged engines will find that they receive a high increase in the performance of their vehicle. You will find that the power delivered through your vehicle will be significantly smoother, ensuring a much safer driving experience. This will also make it a lot easier and safer for you to perform manoeuvres such as overtaking. ECU remapping is not all about increasing performance, you can ask for your ECU remapping to prioritise fuel efficiency. It can improve the low-end torque meaning less acceleration input will be required to maintain its cruising speed. This will also mean that you can put your vehicle into a higher gear and will comfortably cruise at a lower speed, and this will end in fewer gear changes overall needed. If you improve your driving style as well as having your vehicle remapped you will see a significant improvement in your fuel consumption. Remapping is classed a modification to your vehicle, so it’s paramount you inform your insurance, this could potentially void your policy meaning you won’t be covered. This could be detrimental to your vehicle if you had a serious accident and tried to make a claim. The hardware of your vehicle isn’t changed in any way; software is used to remap the ECU. Dependent on the vehicle that you have will depend on whether your ECU can be accessed under the dashboard or will need to be removed. Once you have had your vehicle remapped you may actually decide that this was not right for you. You do not have to worry as your ECU system can be removed and replaced with its original map. Don’t expect it to be a quick in-out process when you book it into a garage. Like most car fittings and fixtures this will take time to configure. You will want this to be done correctly, so take into consideration that this may take a couple of hours. Research how an ECU remap can benefit your car, way up your options. If you have a smaller engine, it may not be as cost-effective as you think. We recommend talking to your local or specialist garage, that way if you do have any questions they will be extremely helpful in going through each aspect of an ECU remap. ECU remapping is a great way to improve the overall driving performance of your vehicle. You will find that you can improve the horsepower by 30 to 40BHP and in torque, some vehicles can improve by 80NM. You will find that once you have had your ECU remap your vehicle becomes much more responsive making it easier to overtake. It will also improve your city driving with fewer gear changes. With less frequent gear changes this will also improve your fuel efficiency boosting your miles per gallon. We highly recommend that you do your research when it comes to considering an engine control unit remap. Think about how it will benefit your car and how it can improve your driving. 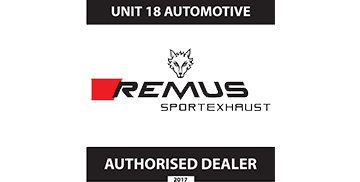 We would also like to strongly advise that once you have had your ECU remap you inform your insurance, this way they’ll be able to tell you whether you are covered under your current policy or if you need to take out a new one.